This product is a set of 10 mazes that highlight equivalent fraction identification. Each maze provides a base fraction and 7 fractions that are equivalent to the base fraction. 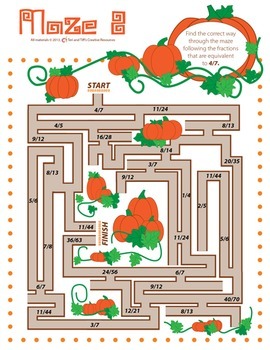 Students can navigate their way through each maze by connecting all of the equivalent fractions. 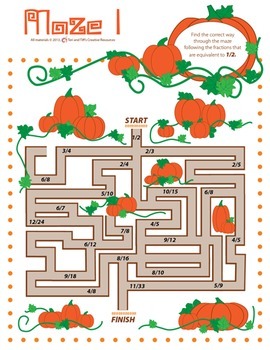 Mazes 1-5 are designed with easier base fractions and mazes 6-10 have more challenging base fractions. This differentiation is to allow students at differing levels to be able to participate in this activity. 1. They can be used as a math center where the students can complete the mazes independently and use the Student Answer Key Cards to check their work. 2. 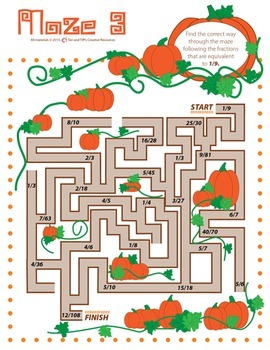 They can be used in a small group lesson where the teacher can guide the students through 1 maze at a time. 3. They can be used as a whole group assessment. After the concept of equivalent fractions has been taught, the students can independently complete some of the mazes as a quick assessment. 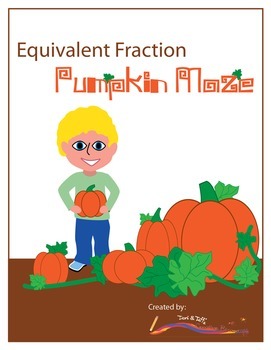 Be sure to check out the free preview so you can get a closer look at the mazes and types of equivalent fractions used. Thanks for stopping by our store! by Teri and Tiff's Creative Resources is licensed under a Creative Commons Attribution-NonCommercial-NoDerivatives 4.0 International License. Get TPT Credit . . .
. . . by rating this product! Go to your My Purchases page (you may need to log in) and click the Provide Feedback button (next to this product). Each time you give feedback, TPT gives you feedback credits that lower the cost on future purchases. We really value your thoughts and look forward to hearing your ideas!